WSI is proud to offer the following products. Authorize.Net has developed a payment gateway landing page to help you facilitate merchant signups. The program will allow you to link your merchants to a co-branded Web page on the Authorize.Net Web site that includes a description of your business, your payment gateway account pricing, and information about the Authorize.Net Payment Gateway. AppRiver is the latest service in spam filtering. The service is constantly updated to protect clients from the most current spam techniques, and uses SecureTide email protection in order to keep your email messages virus- free. 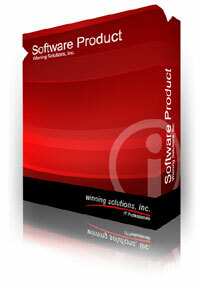 WSI now offers packaged web solutions for small businesses. These packages make it even easier to get your business onto the web. WSI introduces the new network dispatcher system. This new feature allows clients to call in or fill out our online for to get better assistance if they are experiencing difficulties and need a network professional's assistance. WSI's intranet is now available to the public. Customize Winsol to fit your business intranet needs and get your business more organized. Winning Stats is a full featured Sport Online Training Log that allows the user to keep track of such information as runs, walks, bikes, swims, inline skates and cross country skiing. The WSI Deluxe Deposit Ticket System allows you to enter your deposit information for a Deluxe 80200 Laser Deposit Ticket into a custom Access Application and then print the deposit to your laser printer.